Provides access to a mobile network service when no traditional fixed infrastructure is available or if an additional phone line is required.  Provides a simplistic standalone solution to replace existing PSTN phone lines that are being decommissioned in the nbn™ network migration or similar network areas. This unique solution is provided complete with battery backup, self-monitoring options and eliminates the need for engaging multiple contractors to deliver a compatible digital network phone service to your emergency phone. 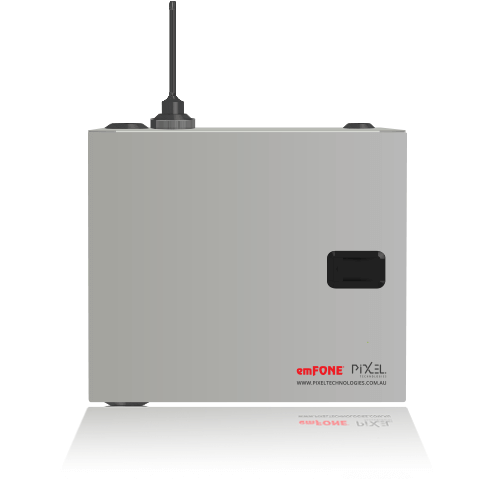 The Pixel Wireless Communication Gateway (EM-4GE1) is specifically built for home lifts or non-commercial buildings. Compatible with all wireless mobile networks Australia-Wide. Easily upgradable to 4G and other future networks. Single SIM option. No call out ability if network is down. System status reporting of all faults, alarms and the battery status via SMS notification. The EM-4GE1 is configured with a single mobile network module to dial out in the event of an emergency or when a person is in need of assistance. The PTE-3G is the card that connects the system to the 3G network, in this cabinet there is a single card used to dial out using one service provider. Please refer to the note below. The PTE-FXS (Foreign eXchange Subscriber) interface card is the port that delivers the analogue line to the auto dialling telephone. In other words it is the “plug on the wall” that delivers a dial tone, battery current and ring voltage. 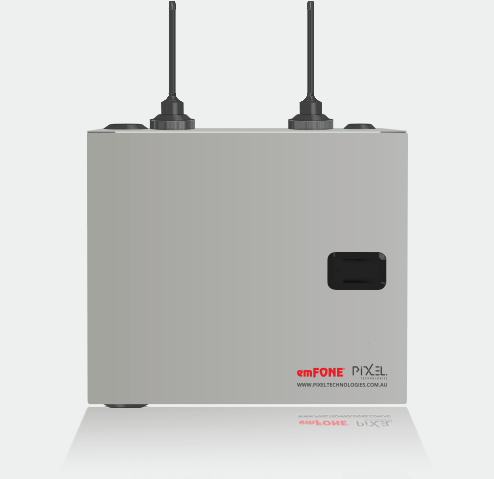 The Pixel Wireless Communication Gateway (EM-4GE2) is specifically built for buildings in nbn™ network areas or similar. Installation can be migrated without any interruption to your existing services. 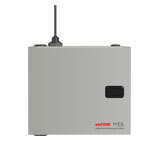 Configurable with the option of two mobile network modules designed to constantly monitor each other. The EM-4GE2 is configured with Dual Wireless Mobile Network Cards. Each SIM Card must be provided by two separate network service carriers. This ensures that if one network is down the secondary SIM Card will operate in its place. The priority for which network carrier you wish to utilise can be set by the user. If the system detects a network failure the secondary SIM Card will be selected to ensure a connection to the help line is attained. 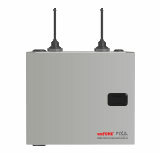 The PTE-3G is the card that connects the system to the 3G Network, in this cabinet there are two SIM Cards used to back up the network carrier from one provider to another – Telstra – Optus – Vodafone. 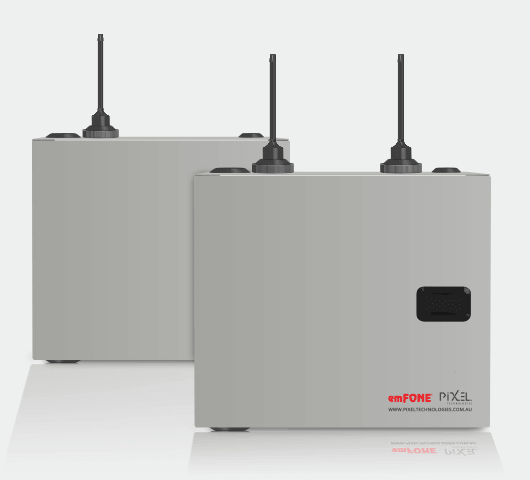 The Pixel Wireless Communication Gateway (EM-4GEO) is specifically built for buildings in nbn™ network areas or similar. connected to UNI-V, PABX, or to the VoIP system through the FXS port. The PTE-3G is the card that connects the system to the 3G Network Service, in this cabinet there is a single 3G Card is used for back up. The PTE-FXS (Foreign eXchange Subscriber) interface card is the port that delivers the analogue line to the auto dialling telephone. In other words it is the “plug on the wall” that delivers a dial tone, battery current and ring voltage. The PTE-FXO (Foreign eXchange Office) interface is the card that receives the analogue line from other devices – UNI-V, PABX or VoiP gateway with an analogue port. This card has the same specifications of a analogue telephone.